The Internal Revenue Service is taking additional steps during tax season to protect taxpayers and help victims of identity theft and tax refund fraud. If your tax records are not currently affected by identity theft, but you believe you may be at risk due to a lost or stolen purse or wallet, questionable credit card activity or credit report, contact the IRS Identity Protection Specialized Unit at 800-908-4490, extension 245 (Mon. - Fri., 7 a.m. - 7 p.m. local time; Alaska & Hawaii follow Pacific Time). If you did not receive a notice but believe you’ve been the victim of identity theft, contact the IRS Identity Protection Specialized Unit at 800-908-4490 ext 245 right away so we can take steps to secure your tax account and match your SSN or ITIN. Also, fill out the IRS Identity Theft Affidavit, Form 14039 (see download link below). Please write legibly and follow the directions on the back of the form that relate to your specific circumstances. Report incidents of identity theft to the Federal Trade Commission at consumer.ftc.gov or the FTC Identity Theft hotline at 877-438-4338 or TTY 866-653-4261. The IRS more than doubled the level of employees dedicated to working identity theft cases and have more than 3,000 employees working identity theft issues. Despite these efforts, the IRS continues to see a growing number of identity theft cases. It’s a top priority for the IRS to help victims and reduce the time it takes to resolve their cases. In addition, the IRS continues to aggressively expand its efforts to protect and prevent refund fraud involving identity theft before it occurs as well as work with federal, state and local officials to pursue the perpetrators of this fraud. 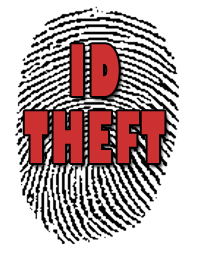 For more information, see the special identity theft section on IRS.gov.